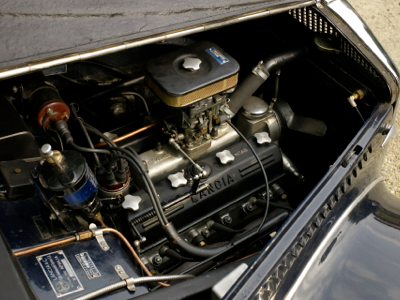 The origins of the Aurelia V6 motor lie in the 538. 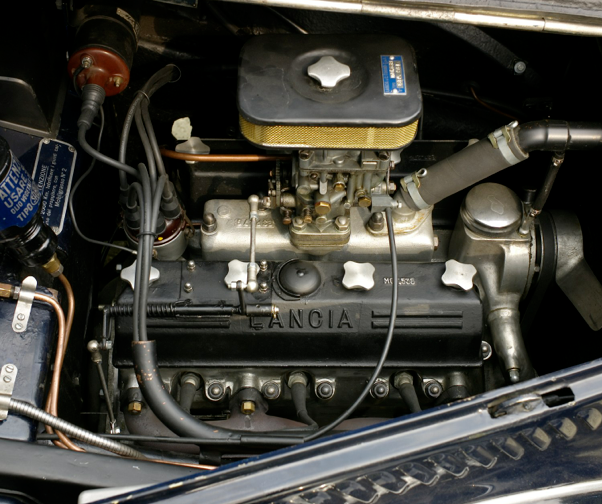 In the 1940’s, De Virgilio drew up the design for this motor, and between 1946 and 1948, a prototype motor was made – one of first running V6 motors by Lancia. Its target vehicle was the Aprilia, then a current model. 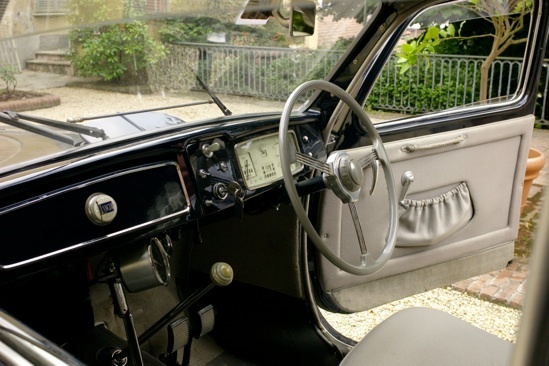 Italian law required that the steering column be straight, and the 538 motor was designed with a narrower 45 degree V, just to clear the body and steering column. 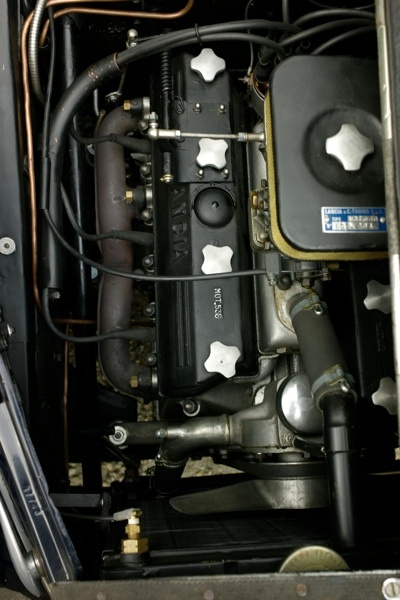 A Torinese gentleman managed to obtain this motor and rebuilt it, installing it in an Aprilia. The installation is, as can be seen, done to lovely effect. A ride in the car confirmed many things, namely the car had massive torque, ran beautifully, and was a sheer delight. I encouraged (to little avail) the idea of building more “specials”. Surprisingly, the engine pulled very well and was very smooth. No vibration to speak of. Look at the installation of the water pump – mounted at the front of the motor. And yes, as has been found out, a V motor would give two exhausts! views of the 538 installed. on the right – the clearance of the exhaust to the steering column on the right. below – the standard interior.